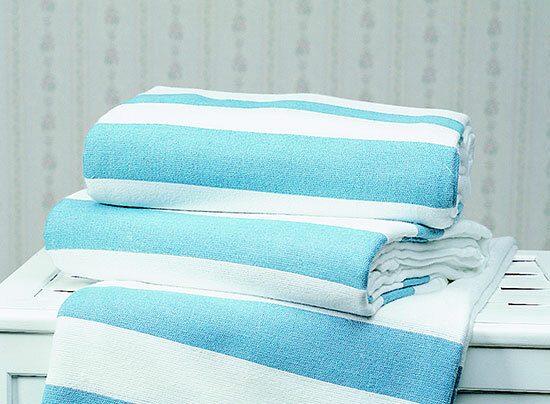 A bleached 55% Cotton, 45% Polyester blend which features 3, 2” Vat-Dyed Woven Stripes (Teal) on both ends. An exceptional multi-purpose blanket. Controlled napping for reduced pilling. Finished on both ends with a hem plus an overedge safety stitch. Blends are intimate blends in both warp and fill. Minimal Shrinking.